For a self-proclaimed introvert, the co-founder of Rootastes, Mint Pattanan Ketthin, came into the Boston catering world with a bang. What was once an idea she had pitched to her marketing class at Boston College has evolved into a full-scale operation dishing out healthy lunches to offices around the Greater Boston Area. Working at a startup after graduating business school, Mint and her co-workers quickly grew tired of the mundane lunch options available nearby. Looking for inspiration, Mint remembered that back in school, she had presented an idea to her classmates: healthy meal boxes with seasonal offerings for offices. From there, Rootastes was born. Rootastes was founded by 3 friends: Mint, Naphat and New. They are now a team of nine, with employees specializing in cooking, sales, marketing and business development. A positive work culture has long been a priority for Mint. Having been an international student and an English as a second language learner in business school, she understands the importance of fostering a warm, welcoming community for her team. Sourcing fresh local ingredients, the Rootastes menu is 90% vegan and gluten free. Mint told us, "we offer hyper-personalized lunches to satisfy every eater so employees who have special dietary restrictions don’t feel left out." Accommodating dietary restrictions with exciting lunch options can be challenging for office managers, but Rootastes makes it possible...and delicious. 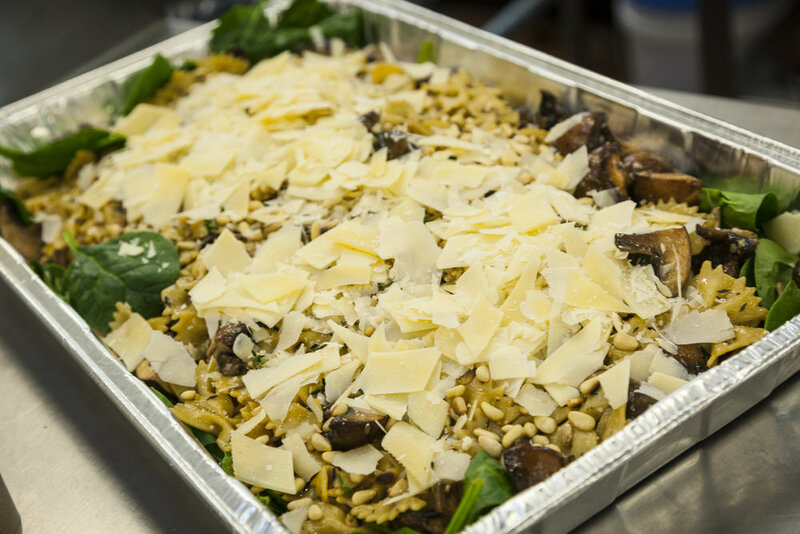 Rootastes can cater YOUR next office lunch!